HURRY - Just received this afternoon! The DC Commission on the Arts and Humanities (DCCAH), DC Creates! Public Art Program would like to invite you to participate in our “Pop-Up Public Art Project” on a donated plot of land at 3rd and H Street, NE is a partnership initiative between DCCAH, the DC Office of Planning and the H Street BID to activate “Interactive H Street”. This initiative will establish a 14-block creative corridor along H Street NE, creating a framework for civic innovation; activation of dormant real estate; and creative business incubation. This project will make a critical contribution toward H Street becoming a destination for arts, business and community experiences in city design. “Interactive H Street” is inspired by the National Endowment for the Arts (NEA) Mayors’ Institute on City Design (MICD). MICD has helped transform communities through design by preparing mayors to be the chief urban designs for their cities. MICD mayors know that the arts and culture contribute greatly as core components in building livable and sustainable communities. Cities across the country create diverse projects through the support of the MICD program. Projects include planning, design, and arts engagement. For questions call 202-724-5613 or email Rachel Dickerson. Featuring work by the seven new members of DCAC's Sparkplug artist collective, Facts and Fictions highlights the tension between the real and the constructed, between the production of elaborate fictions and the documentation of a seemingly concrete reality. Working in painting, photography and mixed media, the artists in the exhibition blur the boundaries between documentation and creation. Fictional narratives and imagined characters inhabit fantastical worlds that nonetheless speak to everyday experiences and anxieties. In other instances, work created with an eye towards everyday human experience transforms otherwise ordinary moments into unfamiliar and surprising visions. Have you wanted to own one of my small paintings or another Washington, DC based artist's work? Try your luck? Well here's your chance to do both. Check out LottoHEART's Game Show for great art pieces. For only $100 you can own a piece of art and have some fun. If you can't attend, you can still play proxy online. Check it out! Here's the scoop on LottoHEART, what it is and how you can play! Have you got your ticket yet? Worlds collide in the outrageous return of the LottoHEART Game Show to the RB Convention Center Saturday, July 3. Featuring over 200 artworks, the fast paced, hilarious evening hosted by Christopher Peterson was awesome last year - this edition will be even more outrageous and fun. The Blue Moon's Pamala Stanley will be making a special guest appearance and joining Christoper for a Lotto surprise! Simply put, come to the event for $25 (open bar, nibbles, friends and fun!) or buy an art ticket for $100 (get all of the above) and play LottoHEART - every player wins a piece of original art! The lotto part is the order in which the art is chosen. The earlier your ticket is drawn, the wider selection of your favorites remain...it's hilarious, fast paced and fab! Oh, and the best part is the whole thing is conducted by Christopher Peterson and his talented cast, with a preview of his 2010 show, surprise raffle prizes, food, an open bar all night long, and the 2010 HeART of the Community Art Auction. Purchase tickets and see the list of participating artists at www.camprehoboth.com. All art will be previewed on the website. If you want to support the cause and can't come, call 302-227-5620 to purchase your ticket and Play Proxy online. LottoHEART debuted last summer under the direction of event chair Sondra Arkin and the CAMP Art Committee. What a success it was! LottoHEART details: LottoHEART 2010; Saturday, July 3, 6 p.m. - 9.p.m., at the Rehoboth Beach Convention Center; 229 Rehoboth Avenue; hosted by Christopher Peterson; open bar all night; general admission $25; art ticket admission $100; benefits CAMP Rehoboth. The Second ArtsCapade is not just another art festival… ArtsCapade has a unique character all its own. The site is planned for over a 140 tents for artists; vendors; international foods; a wine and beer garden and community business partners. We are anticipating thousands of attendees from this diverse and populated area to come together for a weekend of fun for all ages. The League of Reston Artists (LRA) is a non-profit 501c3 all volunteer organization that was formed in 43 years ago when the community of Reston was born. LRA has since expanded to members throughout the Washington, DC Metropolitan area. The LRA mission: Providing educational opportunities for students through scholarships; Supporting artists of all levels and skills through mentoring; Arranging exhibitions for artists including community and corporate venues; Scheduling workshops and critique groups in photography, artistic techniques and marketing; and obtaining a permanent gallery/meeting/classroom space for the organization. For more details and information visit: https://www.zapplication.org . Then go to Artscapade at Dulles Station where more information and application are available. If you have more questions, please contact Kerin McBride – artscapade.artistsATgmail.com or call 703-585-6206. Exquisite Corpse - a collaborative photo project curated by Corcoran Photography alums Jessica Cebra, Dave Gustine, and Marissa Long. Invented by Surrealists in 1925, the Exquisite Corpse method involves a group of collaborators assembling a collection of words or images - each collaborator adds to a composition in sequence, either by following a rule or by being allowed to see only the end of what the previous person has contributed. The technique is similar to an old parlour game called "Consequences" in which players write in turn on a sheet of paper, fold it to conceal part of the writing, and then pass it on to the next player for further contribution. While the Exquisite Corpse being exhibited at Civilian Art Projects utilizes the method most commonly seen in the writing exercise, words have been substituted here with images. Solo exhibit of paintings by Dana Ellyn at the MLK Library in Washington, DC. “Each of the ‘Banned’ paintings are inspired by notable 'banned books'; books that have been challenged and declared 'prohibited' from the public by one or more authoritative body. Ellyn thrives on controversy, loves to read and tell stories, and simply adores the process of painting. This exhibit was literally tailor-made for her and by her. Zenith Gallery features talented glass sculptor, Jackie L. Braitman, in “Transparency” opening at the Gallery at 1111 Pennsylvania Avenue NW on June 30, with a “Meet the Artist” Reception on Wednesday, July 14, 5:30-8:30 PM. Zenith curates the gallery’s rotating exhibits. An architectural designer by trade, Braitman exhibits her large- and smaller-scale work in galleries and art spaces in the mid-Atlantic region, North Carolina, Kentucky, Ohio, Wisconsin, Oregon, Washington, California, and Texas, and in private homes through commissions. In 2004, she was a finalist in “Emerge 2004,” a biennial international art glass competition. The Commission is seeking two and three-dimensional works including prints, drawings, mixed media compositions, paintings, photographs, ceramics, moveable sculptures, digital media, and video art. Special attention will be given to innovative and dynamic photography, to meet the strong demand for photographs amongst government agencies. ARTIST ELIGIBILITY: This call is open to all artists who reside or maintain studio space in the Washington, DC metropolitan area. However, preference will be given to District residents. In Yasmina Reza’s Tony Award-winning play, differences of opinion on the nature of art and on a very large, very costly white painting put friendships to the test. Alan Paul, associate director of the Shakespeare Theatre Company, directs Andrew Long, Hugh Nees, and Howard Shalwitz. Post-reading discussion follows. Thurs., July 1, 6:30 p.m. Admission is $20 ($8 for Phillips members), and includes special exhibition and Phillips after 5 access. Patrons and Circle members free. The Mezz Gallery at Artisphere provides Arlington artists, arts groups, organizations and curators a new and exciting exhibition opportunity. ELIGIBILITY: Proposals will be accepted from individual artists, arts groups, organizations, and curators who live, work, study or maintain a studio in Arlington County. AWARDS: $500 honorarium will be awarded for each selected proposal. ENTRY FEE: $25 application fee per proposal. PROPOSALS: May include themed or solo exhibitions by Arlington artists. Arlington based curators may propose exhibitions featuring multiple artists in or outside of Arlington. Proposals may include single- or mixed-media. Media may include photography, hand-pulled prints, letterpress, wall hung sculptural installations, crafts, textiles, fashion, drawing, painting, etc. All proposals must be submitted via https://arlington.slideroom.com/. Only digital submissions will be judged. Arlington Cultural Affairs is committed to providing a diverse schedule of high quality programs in the arts, providing opportunities for visual artists, performing artists and arts organizations as well as developing an engaged and appreciative audience. If you no longer wish to receive emails from the Ellipse Arts Center please unsubscribe. The Art of Last Minuteness @ Activation 440 | Surprise! Check out the photos from the Activation 440 Opening Party HERE! The Washington District of Columbia Jewish Community Center is looking for a Gallery Director for the Ann Loeb Bronfman Gallery (a 600 square foot space in an urban Jewish Community Center). This is a full-time position that includes benefits. Previous gallery experience required. The winner of the $25,000 prize will be announced on July 10. Artscape is held July 16-19, 2010. Finalists Exhibition will be shown in the Alvin and Fanny B. Thalheimer Galleries of the BMA on Saturday, June 19 through Sunday, August 1. In conjunction with Artscape, Baltimore’s premier arts festival organized by the Baltimore Office of Promotion & The Arts, the BMA presents a special exhibition of works by the finalists for the Janet & Walter Sondheim Artscape Prize. This year's finalists are: Leah Cooper, Ryan Hackett, Matthew Janson, Nate Larson, Christopher LaVoie, Matthew Porterfield, and Karen Yasinsky. Named after the late Baltimore civic leader Walter Sondheim and his late wife, Janet, the Sondheim Prize recognizes the achievements of visual artists living or working in Maryland, Washington, D.C., Northern Virginia, and southeastern Pennsylvania. The semi-finalists, finalists, and winner are all chosen by an independent panel of jurors. This year’s jurors are: Robert Nickas, an independent New York-based curator, writer and art critic; Magdalena Sawon, owner and director of New York’s Postmasters Gallery; and Hamza Walker, director of education and associate curator of the Renaissance Society at The University of Chicago. The finalists were announced on April 13. Go to the Corcoran on Saturdays this summer for FREE admission, plus Gallery tours, workshops, demonstrations, and performances for families and all ages! Beginning Memorial Day weekend through Labor Day weekend, enjoy summer exhibitions and programming free of charge. Special programs, many free, have been planned to celebrate the Corcoran’s permanent collection and temporary exhibitions Helios: Eadweard Muybridge in a Time of Change and Chuck Close Prints: Process and Collaboration. For more information on Free Summer Saturdays, visit www.corcoran.org/freesummersaturdays. Every Saturday: Chalk Drawings; 11a.m. - 4p.m. chalk on the corner of 17th Street and New York Avenue. Highlights Tours; 12 p.m. and 3 p.m.
Join a guided tour through the permanent collection and temporary exhibitions. Saturday, June 26; Noon – 3 p.m.
Sketching in the Atrium sketching from a life model. All materials are provided. strings, and even paper pulp in the special exhibition Chuck Close Prints: Process and Collaboration. Following the tour, create your own hand-made paper from bits of paper pulp. $8 per child, Corcoran Members at the Family level and above; $12 per child, Public. To register, visit www. corcoran.org/family/family_programs.php. Saturday, July 10; 1 p.m.
Eadweard Muybridge's motion studies into the design. Saturday, July 10; 2 – 3:30 p.m.
the tour, create your own hand-made paper from bits of paper pulp. $8 Corcoran Members; $12 Public. To register, visit www.corcoran.org/calendar or call (202) 639-1770. Saturday, July 17; 2 p.m.
Boston’s MONTAGE Music Society’s Starry Night Project features music of noted living American composers written exclusively about works of visual art. Combining original, contemporary music with artwork by such important visual artists as Rousseau, Van Gogh, Matisse, Degas, and Picasso, Starry Night Project connects the ear to the eye, and the eye to the ear. Forging these connections between art forms encourages active listening and observation and stimulates fresh, new insights in to the musical and visual creative processes. Learn more at http://www.montagemusicsociety.org/starrynight.html. PLEASE RSVP to infoATlongviewgallery.com if you plan to attend. Long View Gallery announces the upcoming exhibition “Informed Design,” opening on July 8 and running through August 1. “Informed Design” strives to expound on the role of art objects within the context of interior design and architecture. This exhibition will feature a sampling of the inventory in our newly launched corporate art consulting branch, as well as two architectural design vignettes by leading D.C. architects Ernesto Santalla and David Jameson. In contrast to typical gallery shows in which pieces hang on blank white walls, “Informed Design” demonstrates how art can influence or interact with an interior. “Informed Design” aims to explore the relationship between art and architecture, and argues that exceptional works of art establish dialogues with their surroundings. The show will encompass a wide variety of abstract paintings and low relief sculptures by artists on our corporate art consulting roster. These artists include: Joan Konkel, Anne Marchand, Victoria Cowles, Steve Griffin, Patricia Burns, Wanda Wainsten, and Susan Finsen. Local architects Ernesto M. Santalla of Studio Santalla and David Jameson of David Jameson Architect Inc. will install site-specific vignettes to accompany our artwork selections. Santalla and Jameson both consider art as the hub of their respective design processes. Jameson’s vignette similarly allows the physical gallery space to dictate his design. Inspired by the raw feel of the exposed brick and concrete, he has selected work by artists that complement the industrial look of the gallery. According to Jameson, “conceptually, we are attempting to create an installation that stitches together a tectonic experience formed by pressures of the space with an art experience positioned within the added tectonic elements.” Displaying works by celebrated artists Steve Cushner, Mary Early, James Huckenphaler and Jackie Hoysted, Jameson is creating a gallery within the gallery by installing pillars, echoing the existing concrete beams, to act as walls. Not only will the architectural design choices enhance the interior of the gallery, they will also heighten the experience of viewing the artwork that adorns them, further elaborating on the importance of art objects in interiors. Cuban-born architect Ernesto Santalla has contributed to the changing skyline of Washington, D.C. and worked on projects in the U.S., Puerto Rico and Europe. A registered architect and LEED accredited professional, Ernesto practices architecture, interior design, and graphic design at his firm, Studio Santalla, Inc., located in Georgetown, Washington, D.C. Ernesto is also a fine art photographer and a regular contributor to Washington Life Magazine and The Washington Blade. David Jameson, FAIA founded his eponymous architectural studio in 1998 upon a rigorous commitment to design excellence and client service. Since then, his firm has been recognized nationally and internationally with over 150 design awards and featured in over nearly 200 design publications including Architectural Record, The Architectural Review, and Architectural Digest. London based Wallpaper magazine recognized the firm as one of four US based architecture firms to follow in its 2010 Fabulous 40 issue. This past spring Architectural Digest named David to their AD100 roster, a listing of the top 100 architects and designer’s worldwide. In academia, Jameson is an adjunct faculty at his alma mater Virginia Tech (91’) and is a guest critic at Yale and Columbia. A love story about two adults with Down syndrome. "The film goes beyond disability"
Director, Ali Codina, will be in attendance. Silver Spring, Maryland. TWO BLOCKS FROM METRO-Red Line to Silver Spring. Twelve contemporary mixed media paintings by Greenville, NC artist Destry Sparks will be on display in the Boatwright Gallery at the Danville Museum of Fine Arts and History in Danville, VA from June 25 to August 22, 2010. A public reception to honor the artist is scheduled for the evening of June 25th at the historic Sutherlin Mansion which houses the museum from 5:00 to 7:30. The mansion is the crown jewel of the tourist destination known as Millionaire’s Row in Danville, VA just over the border north of Greensboro. Sparks is known for attaching a variety of worn found objects (both natural and manufactured) to burlap and other rough surfaces to create a particularly visceral effect atypical of traditional flat plane painting. His influences are diverse from traditional African craftsmen to contemporary masters including Anselm Kiefer. With objects ranging from decayed window frames to dried leaves, themes of deterioration are offset by redemptive messages of hope from Christian theology. Viewers are encouraged to consider the idea that everything (and by extension everyone) has a place in the world. Nothing is worthless or without purpose ultimately. ‘When objects typically categorized as junk are elevated and placed on a wall in a painting within the lofty sphere of fine art, we’re more likely to notice and appreciate the beauty and design of even the smallest of things’, Sparks says. His work has been shown around the country and overseas later this year in the Outsiders Art Festival in Adelaide, South Australia. Spark’s work has won numerous awards including First Place last year in the 2nd International Society of Acrylic Painters Online International Open Exhibition. Media mentions include a feature on the www.aestheticsnow.com website. Locally his work is normally available at Carteret Contemporary Art in Morehead City and InkStone Gallery in Winterville. During the Danville show however, many of his pivotal works will be dedicated to this important mid-career exhibition. For more information about the artist’s work, visit www.destrysparks.com. The artist is also very active on www.facebook.com where he regularly shares art ideas and news about his group show projects with other artists with over 4,000 art world friends. News about the exhibition in Danville is also available at the museum website at www.danvillemuseum.org. The Second Annual "First on 1st" Art + Music walk is coming up on August 7 and is looking for great sculpture to place in several yards in the Bloomingdale neighborhood for the day. If you would like to participate, click here for more information. On Thursday, June 24, see some of Finland and DC's finest short films in the elegant setting of the Embassy of Finland. 21+ to enter. No refunds. Does humanity have a chance to survive on Spaceship Earth? Explore this question with Renaissance man R. Buckminster Fuller, inventor of the geodesic dome. Join Arena Stage through July 4th for an unforgettable journey inside one of the most remarkable minds of the 20th century in a dazzling, virtuoso multimedia performance. A hero of the green movement, Bucky framed many of the great environmental ideas of his time and ours. This is your chance to get to know the man and his world-saving mission in a play "as startlingly funny as it is intellectually stimulating" (San Francisco Examiner). It may not only change your life but the life of our planet as well. And don't forget about "Bucky Art"! The weather is warming up nicely, so plan a walk around the heart of Crystal City, VA to view the sculptures that celebrate the great scientific mind of R. Buckminster Fuller. The Embassy of Argentina will present the first exhibition after the remodelling of its building with works of art by the Argentine painter Wanda Wainsten. Geometryc Rhythm is a synthesis of tango and abstract paintings that reflect the unique style of the artist. Wanda Wainsten was born in Buenos Aires, Argentina in 1976. She started painting interior and exterior murals while she studied achitecture at the University of Buenos Aires. Wainsten is a full time artist, exhibiting in galleries around the world; Sweden, Holland, Italy, Argentina and now in the United States. As in architecture, her paintings are ruled by geometry were you can see the structure emerge and organize the canvas, while the colors create the sensation of space which she wants to express. Gallery Neptune presents a lively and colorful collection this summer of painting, collage, mixed media and graphite art. Abstract painting has a strong presence in this exhibit with work by Duane Cregger, Ellen Hill, Greg Minah and Katherine Mann, a recent Bethesda Painting Award 2nd place finalist. Lisa Montag Brotman returns with her 12” x 12” ironic narratives and Hsin-Hsi Chen offers a new line of lamps, clocks and frames made from her finely rendered graphite drawings. Joan Belmar continues the theme from his recent Neptune spring show, with jewel like mixed media pieces which layer painted images and plastic. David Wallace, recently included in “Masters: Collage” by Larks Books, will have several of his collage inspired paintings on display. The gallery is pleased to round out our summer exhibit with naive animal paintings on aged wood planks by primitive artist Marco deChiro. August 5: The Perfect Paper Toss with Kacy Paide of The Inspired Office, 7-8 PM. Spend a fun hour with Kacy to learn how simple design skills create great office organization. Washington, DC - June 23, 2010 - The Joan Hisaoka Healing Arts Gallery located at 1632 U Street, NW announces the opening of Through Their Eyes: Haitian Artists' Visions of Home, also featuring the work of National Geographic photojournalist, Maggie Steber. Haitian artworks provided by the American Visionary Art Museum, Zanmi Lakay and the Art Creation Foundation for Children. The exhibition runs from June 23 to August 7. Gallery hours are Wednesday-Friday 11AM-5PM, Saturday 11AM-3PM and by appointment. In collaboration with the Savannah College of Art and Design (SCAD), artist Ju-Yeon Kim has created two new sculpture installations and numerous scroll drawings for her exhibition The In-Between. She drew inspiration for this body of work from the 8th-century Tibetan Buddhist text titled The great book of natural liberation through understanding in the between, popularly known in Western cultures as The Tibetan Book of the Dead. The Catalogue for Philanthropy: Greater Washington announces that The Art League has been selected to be featured in the 2010-11 Catalogue. A panel of 100 expert reviewers from area foundations, corporate giving programs, peer non-profit organizations, and the DC government evaluated nearly 250 applications; The Art League is one of 70 outstanding nonprofits to be featured this year. The Catalogue raised $2.5 million in 2009-10, and has raised over $12 million since its inception in 2003. The Catalogue enables smaller non-profits to tell their stories to individuals who would otherwise never hear them, and to encourage those individuals to get engaged and give. It also provides charities with a stamp of approval that tells donors they can invest with confidence because the Catalogue vets its family of nonprofits with great care. 20,000 individuals and hundreds of family foundations will receive copies of the print Catalogue in November, and others will visit the new Catalogue website (cfp-dc.org) the only regional philanthropy site of its kind in the country. Artist/Designer Jason Nickens is publishing a new art magazine to answer the question "Where has all the good art gone? Here's a teaser of magazine to give people a view of the publication before its printed. It features the work of Washington Metropolitan artists. Here is the link http://issuu.com/stampmagazine/docs/stampmagazine-0. There's also a blog at www.stampmagazine.blogspot.com. No RSVP or tickets required. The U.S. Presidential Scholars exhibition will be on view at the Smithsonian American Art Museum, June 21-27 and July 3-9, 2010. RSVP by June 12 to 305.377.1140, extension 1306 or email psa@youngarts.org. Admission is complimentary, but tickets are required. YoungArts is the core program of the National Foundation for Advancement in the Arts (NFAA). The program’s mission is to identify emerging artists, provide educational enrichment and assistance in their pursuit of the arts, and to raise the appreciation for and support of the arts in American society. Dedicated to inspiring and nurturing young artists, YoungArts was founded in 1981 by businessman and visionary, the late Ted Arison, and his wife Lin. YoungArts is committed to identifying the next generation of emerging artists. 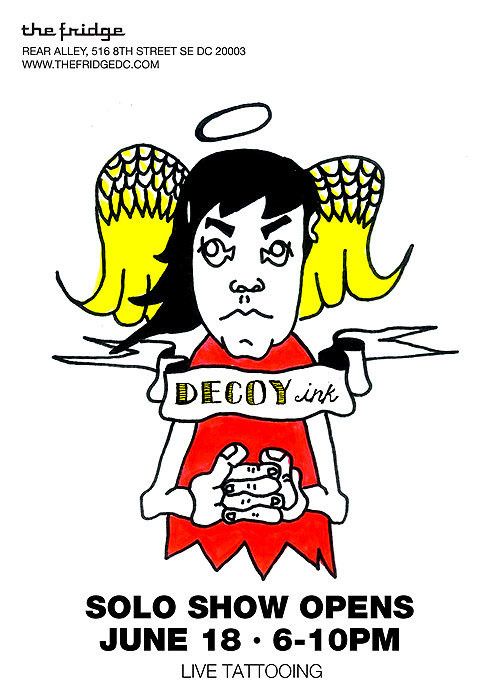 The Fridge presents DECOY ink, a solo exhibit of all-new, tattoo-themed work by DECOY that includes large paintings on canvas, gel medium transfer prints on wood, and prints on paper. Live tattooing will be featured at the opening event. Join Civilian Art Projects, Ryan Hill, MC Sasha Lord, and special guests for a closing talk and LIVE Auction on the closing date of "SuperFacial!" This exhibition is sponsored by Akridge and Seaton & Benkowski Partners in collaboration with Hemphill Fine Arts. Private Practice: Bad Ideas, Dead Ends and Guilty Pleasures. 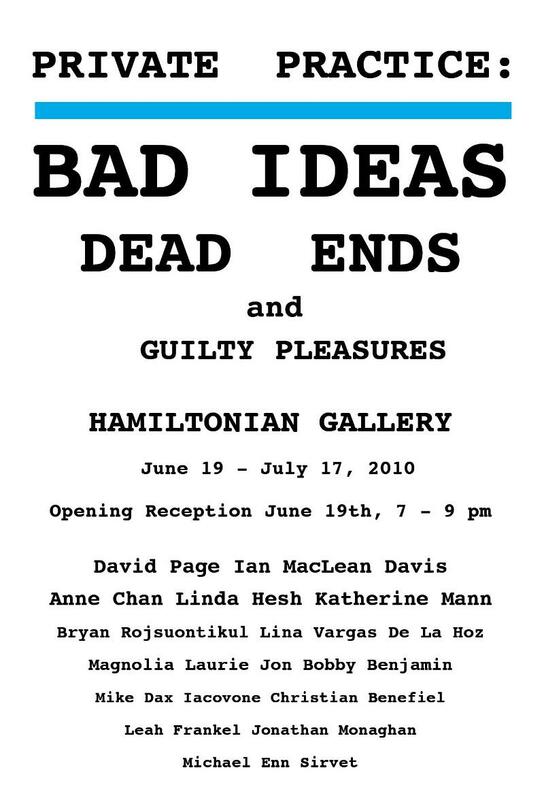 Artists: David Page, Christian Benefiel, Jon Bobby Benjamin, Anne Chan, Ian MacLean Davis, Leah Frankel, Linda Hesh, Mike Iacovone, Magnolia Laurie, Katherine Mann, Jonathan Monaghan, Bryan Rojsuontikul, Michael Enn Sirvet, and Lina Vargas De La Hoz. 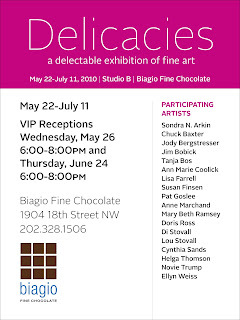 Washington, D.C. -- On June 19, 2010, Studio H will open Derailed, a solo exhibition featuring well-known aerosol artist Tim Conlon. Derailed pays homage to the artist’s almost twenty-year love affair with freight train graffiti art. In this new exhibition space on Washington’s edgy H Street Corridor, Conlon will showcase a series of new works including life-size aerosol paintings of freight trains; model trains featuring scaled-to-size graffiti in the bright colors and iconic characters for which CON is best known; and contemporary photographs of trains and their environs. The exhibition closes on July 15. Conlon posts regular missives about art and culture both local and global on his website and blog, www.conoperative.com. Open House Sunday, June 20th, 2010 (11am-1pm)Meet the WSS Summer Workshop Faculty, register for classes, and take a free drawing class. 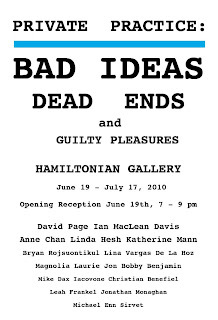 A group show of work by former Washington Studio School Students. Join us for the Artist Reception, Thursday, July 8th, 6-8pm. “ArtDefined” is an experiment that explores how we understand art, what it means for us, and how we use art in our daily life. Art may be defined by its creator’s intention to make artistic work or it may be defined by a spectator. One could argue that an object becomes art first when it is viewed, appreciated and valued as art by an observer. But does the observer need to be an art scholar? We all have an opinion of what art is and as such, we display in our homes artistic objects based on this opinion. The “ArtDefined” will display pieces defined and valued as art by their owners and which are displayed in their own homes. Witness the ordinary to the extraordinary. ArtDefined will bring art out of the houses and into the gallery. Peter Johnsen who has organized this exhibit grew up in Norway with an artist grandmother and mother and as such he was exposed both to art and the discussion of art by an early age. He soon realized that defining art is not easy and that modern art often is experienced as excluding. This has inspired him to explore what people see as art. He now lives in Washington, DC where he is realizing a long time idea to let people bring art to the gallery. Art(202)TV gives viewers the opportunity to discover the evolving landscape of the District’s arts community. The new show spotlights artistic movements from across the city that are creating and solidifying Washington, DC as a world class cultural destination. Content will highlight gallery exhibitions, performances, cultural festivals, video art and short films. This one-hour show will feature originally produced content by the Media Lab of DCCAH covering organizations and artists such as Life Pieces to Master Pieces, Holly Bass and event coverage such as Art Salon. The majority of programming will be acquired from organizations like The Washington Ballet, FotoWeekDC and Washington Project for the Arts, repurposed for promotional-use to air on Art(202)TV. “Washington, DC has such a rich, diverse artistic history, present and future. We are pleased to partner with DCCAH to include Art(202) in our TV-16 broadcast line up so that viewers can have access to the best that DC has to offer,” said OCT Director, Eric E. Richardson. 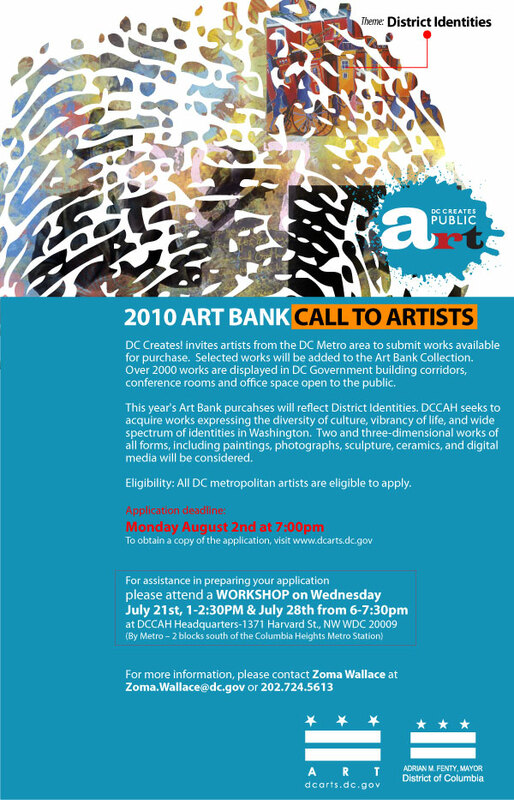 DCCAH is currently accepting digital material from all District artists and organizations to be considered for Art (202)TV. 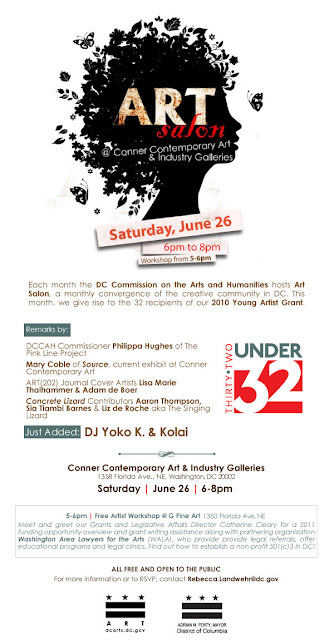 On June 17, CHAMPS - Capitol Hill’s Chamber of Commerce presents ARTventures on H. From 5-7:30pm, eleven different galleries and art spaces along the H Street Corridor will open their doors to the Capitol Hill community for a special neighborhood art walk. Participants will each be given an ARTventures “passport,” to be stamped at each stop on the art walk. For every stamp received, attendees receive an increased discount at more than ten participating restaurants that evening from 7-9pm. 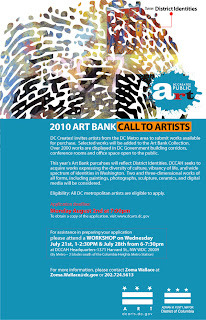 Diverse Markets Management announces a call to artists for the 2010 Arts on Foot Art Market, held September 8, 9, 10 and 11. The Weekday Art Market on Wednesday,Thursday and Friday will be held on the wide sidewalk of F Street, NW between 7th & 9th Streets. The full festival on Saturday will take place on F Street, NW between 6th & 7th and between 7th & 9th Streets, and 8th Street between E & F Streets in Washington DC in front of the Smithsonian Portrait Museum. The Art Market highlights the work of local, regional and national visual artists. 80-100 artists will be selected to exhibit in 13 media categories. All work must be original and completely artist-produced; imports and re-sales are not permitted. All artists wishing to participate must complete an application and pay a $30 application fee. An independent professional jury will review applications, images of products, and booth display. When applying, artists should indicate if they wish to be considered for Saturday only or for all four days. Space fees, due upon notification of acceptance, are $175 for Saturday, $475 for all four days. College. The show runs from June 18th to July 30th. Juried by Clifford Chieffo, Professor Emeritus in Art at Georgetown University, the show represents a body of work created in the last 12 months by DC area artists who have been contemplating, considering, manifesting, bending, mirroring and turning their ideas and inspirations. Professor Chieffo will be hold his juror's talk at 8:00 pm. This is a wonderful opportunity to deepen an understanding of art. Come ponder and muse upon the variations of 'REFLECTIONS' in our society, both personal and beyond. The diversity of CHAL member artists is (every pun intended) reflected in the myriad of media represented in this show. CHAL members span the artistic spectrum of experience from the novice to the educator, from the student to the professional. CHAL looks forward to your participation in our final event of the season. City Arts' second annual Bar Night and Silent Auction Fundraiser is here. On June 17th, from 5:00 to 9:00 PM Madam's Organ Blues Bar & Soul Food Restaurant will generously donate to City Arts 20% of all food purchases and $1 dollar for every drink. So please, come thirsty and bring a friend - better yet, bring three! This is a fabulous opportunity to eat, drink, and be merry while supporting City Arts' efforts to enliven DC's neighborhoods through public art. You will also have the chance to bid on unique art pieces created by City Arts student apprentices, as well as other donated silent auction items from local businesses and generous individuals. Featured items include a vacation rental house in Maine, an original Inauguration panoramic photograph by noted photographer Sam Kittner, theater tickets to the Atlas Performing Arts Center, and gift certificates to local boutiques, fine dining restaurants, and casual eateries including CommonWealth, Gastropub, Zest Bistro, Masa 14, Cashion's Eat Place, the Little Fountain Cafe, Tonic, Homebodies, Lunar Massage, Frager's Hardware, U Street Music Hall, Chipotle, Ireland's Four Fields, and Amsterdam Falafel. Please e-mail erinbryan at cityartsdc.org for a full list of items. 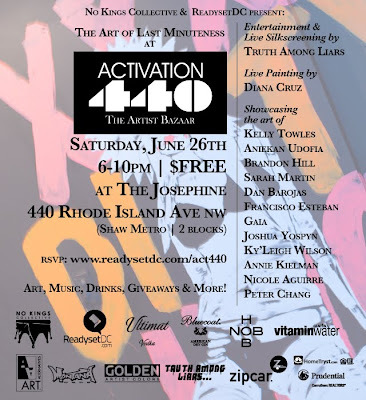 Money raised from this event will support not only the year-round Urban Arts Mentorship Program for DC public school students, but also a variety of upcoming mural and mosaic projects in neighborhoods across the District. Artist in Residence Melanie Grishman, Special Guest Artist Chuck Baxter and Poet in Residence Anne Becker join the Gallery at Iona for a Meet the Artist Reception on Thursday, June 17 from 5 - 7 pm. Read the artists' biographies here. For more information about the Artist in residence program, special workshops and events, please call Gallery Coordinator Patricia Dubroof at (202) 895-9407. Chuck Baxter has 25 pieces in the show at the Iona Senior Center, 4125 Albemarle Street, NW, a half block from the Tenlytown Metro stop behind the old Heckingers building which is now a huge condo with three or four different stores on the ground floor. The show runs through August 23 and is open to the public between 9 and 5 each weekday. Hosted by Fred Joiner, curator and host of the American Poetry Museum's Intersections at the Honfleur Gallery and poet-in-residence at Busboys and Poets, Shirlington. This month's features poets are the R Street Collective and PhenmenaDaPoet. R Street Speaks is a performance ensemble of Duke Ellington School of the Arts. These Literary Media and Communications students write their own words and speak for young people in a way never heard before: from the heart. Thought-provoking and system challenging, R Street Speaks continues to break boundaries of age, and redefines the caliber of spoke word and poetry. Beatrice Gralton, the Evelyn S. Nef Curator of Contemporary Art at the Corcoran Gallery of Art, Washington, DC, selected the work for this thematic show featuring works inspired by the spirit of adventure, exploration or utopian visions. Irene Hofmann, Executive Director of the Contemporary Museum, has accepted a position as Director and Chief Curator of SITE Santa Fe, announced Contemporary Museum board president Pamela Berman. Hofmann joined the Contemporary Museum in 2006, and will assume her new role in October 2010. A search committee has been created and will soon convene to identify candidates for the Contemporary Museum position. glue medium, ink and varnish on panel, 12"x8"; Joanne Kent, First Thaw, oil on canvas, 12" x 12"; Laurel Lukaszewski, Tranquility, black stoneware , 9" x 9" x 3.5." Using traditional media such as paint, wood and clay; as well as the non-traditional including rust, glue, and scrap metal, the nature of the media itself is given a voice through the works of Christian Benefiel, Michael Fitts, Joanne Kent, Kevin Kepple, J.T. Kirkland, Laurel Lukaszewski and Kim Manfredi. The show is curated by J.T. Kirkland and Twig Murray. Special guests David Gregory, Meet the Press moderator, and Betsy Fischer, Meet the Press executive producer, will join Nick Clooney to discuss the movie. Step Afrika! Homecoming at the Lansburgh TheatrePerformances are scheduled from June 16 - June 20, 2010. This year, the Nation’s Capital official, first, and only Cultural Ambassador is peeling back its layers; revealing life-both on and off stage- to patrons. Home Performance Series 2010 takes a candid look at life on the road as a dancer through the high energy, high impact exciting art form; a culmination of rhythmic footwork, body percussion, and spirited vocalizing. Accompanied by violinist Brian-Joseph Uzuegbu, DJ RBI and a collage of multimedia entries, the audience is granted “access” to Step Afrika! creative process living vicariously through Step Afrika!’s lens of world travel, college tours, creativity, arts education, elation and moments of awakening. “Access Granted,” premieres works “X-Town: Chicago”, inspired by Artistic Director Jakari Sherman’s residency at the Chicago Human Rhythm Project in the summer of 2009; and Party Walk, an homage to the pride of Greek social life. On hand for this year’s, festivities is City Administrator Neil Albert, Chilean Cultural Attaché Her Excellency Natalia Allende, special invited guests Grammy Award -winning female a cappella ensemble Sweet Honey in the Rock, and the exhilarating cast of Sophisticated Ladies; along with orange carpet host April Watts of WHW Rocks. Immediately after Home Performance 2010 Step Afrika! will be boarding a plane to Morocco and touring Central America, making stops in Panama, Honduras, and Belize. Proceeds from the entire run of the Home Performance Series goes to Step Afrika!’s year-round programming and recently established scholarship fund for college students. The Lansburgh Theatre is located at 450 7th Street, Northwest. Tickets for Step Afrika!’s HPS 2010 range from $29.50 to $39.50. Discounts are available to students, seniors and military. For discount information, call the box office at 202.547.1122 and press option 1. Groups can contact Step Afrika! directly at 202.399.7993, ext. 103 for group ticket information. For additional information about Step Afrika!’s HPS 2010, please contact Tynisha Brooks at (202) 399-7993 ext. 111 or events AT stepafrika.org. The Environmental Film Festival hosts a special screening of the 2010 film Climate of Change at the Letelier Theater (3251 Prospect Street, NW) on Wednesday, June 16 at 6:30 p.m. In this rich and inspiring documentary, director Brian Hill takes viewers around the world to find the ordinary people taking action in the fight to save our global environment through projects in their local environments. Driving Climate of Change is the beautiful narration written by British Millennium Poet Simon Armitage and voiced by Tilda Swinton. Tickets are $20. Details. Saturday, July 3, 6 p.m. – 9.p.m. 200+ artists are participating in a great fundraiser in support of CAMP Rehoboth, the non-profit gay and lesbian community service organization in Rehoboth Beach, that works on equality for all the people living in and visiting Sussex County, Delaware. The mission of CAMP Rehoboth is about inclusion -- and this project reflects that mission by making it easy for everyone to participate as artist or patron. All the work is 5" x 7" so you aren't making a huge space commitment; there are established artists alongside emerging ones; and all the art is anonymous so you'll just select what you love. A Sneak Peek Preview Party honoring the artists will be held at CAMP Rehoboth at 37 Baltimore Avenue in Rehoboth Beach, Delaware on Saturday, June 26th from 4-6pm (no tickets required for this event). Lots of folks come to this event and want to meet the artists so come on down! All art will be on exhibit at the CAMP Rehoboth Community Center from June 24-July 3. Come for the day! This year the DC2NY bus service provides daily service to downtown Rehoboth on the weekends so you can make a daytrip out for the preview reception. Spend the day in town, hang out at CAMP Rehoboth, and it's a 5 minute walk to the bus.They do a great job (tell them that you heard through CAMP Rehoboth). Saturday, July 3rd, the LottoHEART Game Show will be at the Convention Center. The auction-raffle-show, hosted by Christopher Peterson, includes LottoHEART, the HEART of the Community live auction, and surprise prizes. It will be a two-hour, non-stop laughfest. 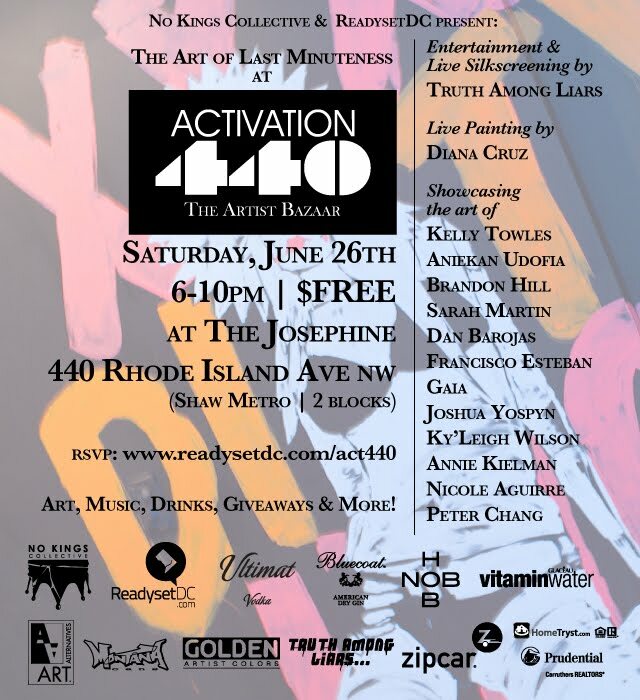 For your $100 Art Ticket, you are guaranteed a small original work of art from one of the 200+ artists. If you come to the July 3rd event, the Lotto part is the order in which you get to select your art (along with great entertainment from Christopher Peterson, light nibbles and open bar). If you can't come, use the online Proxy Program (available after June 25) to make your selections and someone will play on your behalf. To buy your LottoHEART Art Ticket, find out more about the organization, and see the list of participating artists, please go to the CAMP Rehoboth website http://www.camprehoboth.com/. Click to the LottoHEART page where things are further explained (and see the participating artists). From there, follow the link for purchase. Tickets may also be purchased by phoning 302-227-5620. Deadline: July 6, 2009. Diverse Markets Management announces a call to artists for the 2010 Arts on Foot Art Market, held September 8, 9, 10 and 11. The Weekday Art Market on Wednesday,Thursday and Friday will be held on the wide sidewalk of F Street, NW between 7th & 9th Streets. The full festival on Saturday will take place on F Street, NW between 6th & 7th and between 7th & 9th Streets, and 8th Street between E & F Streets in Washington DC in front of the Smithsonian Portrait Museum. The Art Market highlights the work of local, regional and national visual artists. 80-100 artists will be selected to exhibit in 13 media categories. All work must be original and completely artist-produced; imports and re-sales are not permitted. Lens & Pens: Art in an Unexpected Place, to play continuously at MOCA DC from June 12 through 26, offers a rare glimpse of life inside the maximum-security fortress known as the John Howard Pavilion of DC's St. Elizabeths Hospital. Deemed 'not guilty by reason of insanity' by the criminal courts, long-time residents Ronnie Crooks, Pamela Thomas, and Kevin McCain ultimately "luck out" when in 1989 then-social worker and chief of the hospital's Dual Diagnosis Treatment Branch, Ed Washington, conceives the Lens & Pens, Brushes & Friends program. His goal: to create an arts program that will bridge the divide between this often-ostracized treatment population and the outside world. Framed by Ed's recollections of the thriving poetry, photography, and painting workshop's evolution; laced with interviews of Ronnie, Pam, and Kevin and their devoted volunteer-teachers; and with footage of the participants' highly skilled artwork, the documentary gives every indication that Ed's hopes will be realized. With public exhibits, performances, and even sales of their art, and with substantial leaps in artistic skill and self-confidence, Ronnie, Pam, and Kevin grow beyond anything they could have imagined--and must now balance a newfound freedom with an uncertain future. The Telly Award honors the "very best local, regional, and cable television commercials and programs, as well as the finest video and film productions and work created for the Web." Lens & Pens also garnered the Mental Health America Media Award, the Aegis Award, and the Aurora Award-Platinum Best of Show. by the artists of the John Howard Pavilion, as well as an exhibit of prisoners' art courtesy of the Safe Streets Arts Foundation that runs from June 4 through 26. The June 12 reception, for both the Lens & Pens and the Safe Streets programs, will offer wine and light fare. Artists are expected to attend. Enjoy the original fine art and craft of local artists at the Bethesda Artist Market on Saturday, June 12, located on Norfolk Avenue between Fairmont & St. Elmo Avenues in the Woodmont Triangle. Shop for painting, jewelry, photography, wood, pottery, glass and more. Live entertainment will also be featured! Enjoy several galleries and art exhibits by walking throughout downtown Bethesda during the Bethesda Art Walk. 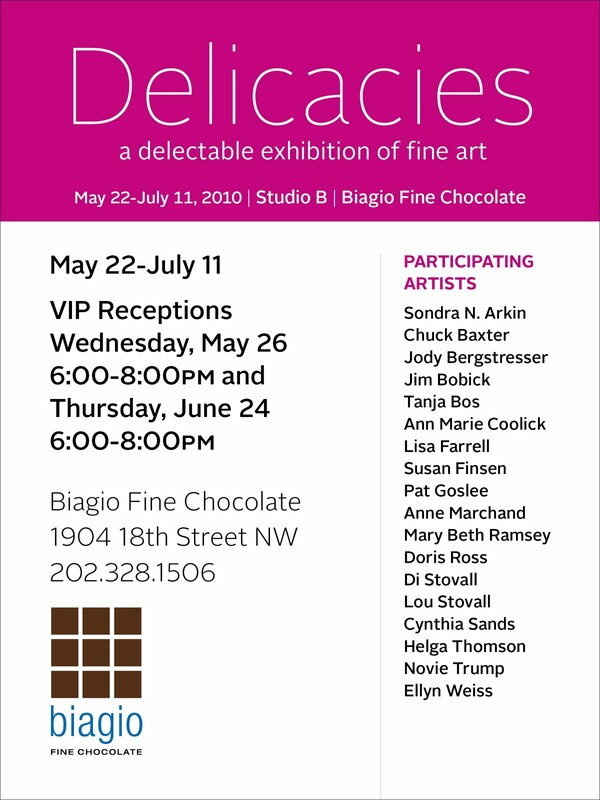 Downtown Bethesda's 11 galleries and art studios stay open from 6-9pm. The free Bethesda Circulator stops within a few blocks of each Art Walk gallery, and runs throughout the duration of the event. More Info. The Bethesda Painting Awards opening reception will be held in conjunction with the Bethesda Art Walk. Visit the Fraser Gallery to view the work of the nine selected finalists, three of which were awarded $14,000 in prize monies. The Bethesda Painting Awards Exhibit will run through June 26. ELIGIBILITY: Open to all artists age 18 and older residing within driving distance of the Foundry Gallery, except current members of the Foundry Gallery. Artwork must depict scenes in and around Dupont Circle in Washington, DC. Artwork must be hand-delivered to the gallery; shipments will not be accepted. All work must be for sale. The gallery retains a 30% commission. JUROR: Dwight Young, National Trust for Historic Preservation. With a long career interpreting historic sites and a background in architectural history, Young will bring a unique perspective of looking at the ways that entries capture the soul of Dupont Circle. Young guides visitors on tours of the neighborhood for the Trust and is the author of several books on history, preservation and architecture. ENTRIES: Each artist may submit no more than two pieces. If accepted, the images shown must be those that are delivered. A non-refundable $35 entry fee is required for each entry regardless of the number of pieces submitted. Each artist must submit the Entry Form, the $35 fee and the image(s) no later than midnight on Saturday, June 26. For details and the Entry Form, please visit www.foundrygallery.org and look for the CALL TO ARTISTS on the home page. $20 More about the event HERE. or on 9th Street between M and N.
On the Fly will stop by with yummy snacks! Also on Fast Company's Most Influential list are Teresa Carlson, VP of Microsoft Federal Government and Sheila Campbell, co-chair of the Federal Web Managers Council. Joining us on the panel, barring last minute travel, will be former Googler Katie Stanton, now working at the U.S. State Department. 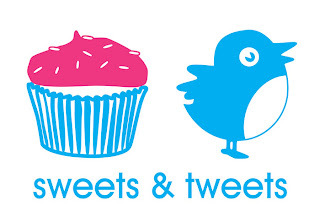 Yes, there will be cupcakes, from Baked and Wired, and we will be serving wine and coffee. You will also have the chance to rub shoulders - and learn from - those working in DC's innovative and increasingly active social media and Gov 2.0 space. Sweets and Tweets features leading voices from DC's diverse technology community on the use of social media by the public and private sector, from the White House and federal agencies to local startups. The event series is produced and hosted by author and corporate social media consultant Debbie Weil. Tickets are $20.00 Click HERE to register!! BALLSTON ARTS & CRAFTS MARKET: 100% Handmade!